Become a NEST Certified Pro. Brilliant. The World’s Smartest Light Switch. Offer to your customers an award-winning replacement for a one, two, three or four-gang light switch and make a profit. 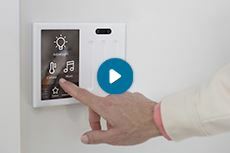 Brilliant Control has a 5-inch touchscreen with swipe-based lighting, music, and climate controls, and homeowners can interact directly with other smart home devices, such as the Nest thermostat, Sonos speakers, Philips Hue lights, Ring doorbells, and more. 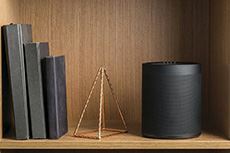 The Brilliant Control has both a built-in microphone and speaker for native voice control and Amazon Alexa services. Now that 4K and HDR TVs (and projectors) have become the de facto standard and source content from services like Amazon Video, Netflix, XBox One, and Apple TV are stepping up to the plate. 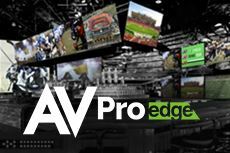 AVPro Edge manufactures cutting edge AV distribution equipment, specializing in 18Gbps 4K60 (4:4:4) matrix switchers, extenders and Cleerline Fiber. 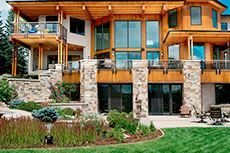 Their products have a 10 Year Warranty and One Year Over-the-Counter Exchange program. This compact speaker with cylindrical shape can be used alone or even better in pairs to achieve stereo sound in both the front and the rear for wireless surround sound. The speaker also has an Ethernet port for wired network connectivity. 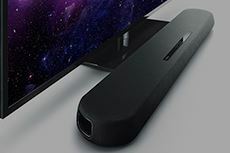 It comes with Bluetooth, WiFi, Airplay and Spotify Connect, to use it as a wireless speaker alone, although its strong point is to combine it other MusicCast compatible components to mount a 2.1 or 5.1 system. Works with Amazon Alexa. Exclusive to the CI channel. Go Pro for a truly professional installation! Exclusive to the Pro Channel = no internet sales. Remote Network Management exclusive to integrators – not available to retail customers! Reduce truck rolls and troubleshoot from anywhere! 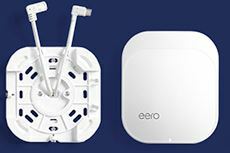 ◘ Full dashboard to view all eeros, network health, and connected devices ◘ Network reboot ◘ WAN speed tests ◘ IP reservation setup, edit, and delete ◘ Port forwarding setup, edit, and delete. 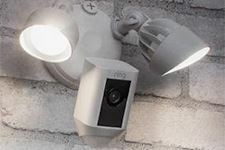 The world’s only motion-activated motion-activated HD security camera with built-in floodlights, a siren alarm, and 2-way talk. See, hear and speak to whoever is on your property. With object and person detection, its 270° field-of-view will let you detect motion around corners and monitor all your blind spots. When Floodlight Cam detects motion, you’ll get an instant alert on your smartphone, tablet, laptop and computer. The lights will turn on, and the camera will immediately start recording. it remembers the temperature you set and builds a personalized schedule. And it’s proven to help save energy. 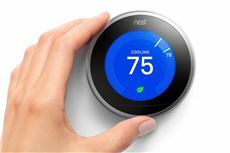 Nest turns itself down when you’re away and you can change the temperature from anywhere using a smartphone, tablet or laptop using the free app. This is a hot product your customers are looking for. SPECIAL PRICING AND WEB LISTING FOR CERTIFIED DEALERS. The all new Sonance SLS speakers and subwoofers are redesigned and engineered for ultimate performance in any outdoor space. The Sonance Landscape Series is totally scalable to suit any size space and can be expanded at any time afterwards as needed. The 70 volt/100 volt system utilizes a daisy-chain configuration, making installation as simple as running the appropriate 4-core cable around the perimeter of the space and connecting the satellite speakers and subwoofers in an alternating left / right configuration. Despite its size, the YAS-108 has plenty of power to fill a medium-size room, thanks to two 2.1" woofers and two 1" tweeters. Yamaha integrated two 3" subwoofers into the unit which produces enough bass to add resonance to dialogue; for more boom, there's a wired connection to add a separate sub. With one HDMI input and one output for passthrough 4K video. Can connect by optical digital audio or 3.5-millimeter analog. Supports two Bluetooth connections at once for easy switching between two devices.